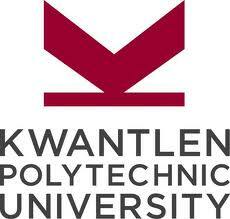 Kwantlen Polytechnic University’s Marketing 3311 course, “Marketing in a Digital World”, has been a valuable and informative module of learning. In this course, I was taught to develop a greater understanding for ways in which marketers can use digital marketing tools to further an online brand or increase traffic volumes. Additionally, I was introduced to a variety of ways in which companies currently utilize social media platforms as an integrative communication tool. In this assignment, I was required to prepare a memo outlining the online marketing tactics utilized by the Dr Pepper brand. In doing so, I was able to evaluate the overall successes and failures of the brands presence within the online community. Alongside classmate and fitness guru, Mark Wilson, an evaluation of the overall impact that social media has had on the customer service industry was developed. In doing so, Wilson and I were able to develop a set of social media guidelines which serve as a protocol for safe and successful integration of social media tools for customer service practices. Summit Marketing Team created a marketing plan for local company Eat, Drink, Be Local. In doing, we were required to analyze the current operations of the company to determine the viability of the business in today’s economy. After confirming the concepts viability, Summit Marketing was able to develop a series of options in which EDBL could utilize to create monetary plan for its services. A series of online marketing related topics created from January 2012 to April 2012. Throughout my time in this course, I translated my newly acquired knowledge on a variety of marketing topics into relevant, and information blog posts. This course has provided me with a better grasp on the importance that digital marketing has on the success of a company’s overall marketing efforts. In the future, I will utilize the knowledge I’ve gained when considering my own entrepreneurial ventures. My only suggestions for further improvement of this course would be for a greater emphasis to be put on the application of subjects, as a great portion of the workload was theoretical in nature.